In medical terminology Heart Attack is referred as "Acute Coronary Syndrome". It is a life threatening condition in which immediate medical attention in necessary. During a heart attack the artery taking blood to the heart muscles is blocked due to some reason. Most common symptom of a Heart Attack in discomfort in chest. You might feel pressure on chest, heaviness, tightness or fullness on chest. Some people may feel irregular heart beats. Medical science has classified Acute Coronary Syndrome into different types. In other words you can say that there are different types of Heart Attack. These types of heart attack also classify the severity of Heart Attack. In this type of Heart Attack, the ECG may remain perfectly normal but the chemical markers can show some damage to the muscles of heart. In this case the blockage is temporary and damage is minimal. In this type of Heart Attack the blockage is for longer period and larger part of heart muscles are damaged. 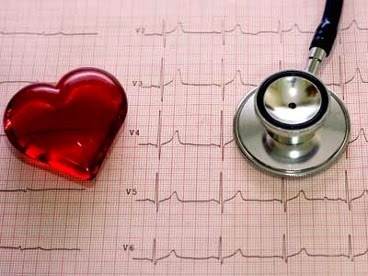 It is visible in the ECG and in blood levels of key chemical markers. Myocardial Infarction (MI): Sometime Heart Attack is called Myocardial Infarction (MI) in medical terminology as both types of Heart Attack have this term common. Stunned Myocardium: Stunned Myocardium are those heart muscles which can't function properly for a period of few days after heart attack. Its caused due to lack of blood supply to these muscles during heart attack. They start functioning normally after few days. Hibernating Myocardium: Some heart areas or muscles don't work after a heart attack. Medication is used to return the blood supply to those regions of heart. In this case some muscles remain in resting state for a longer duration. These muscles are called Hibernating Myocardium. Such muscles may return to normal function in a few weeks or months.